How do I run SQL Server on AWS? 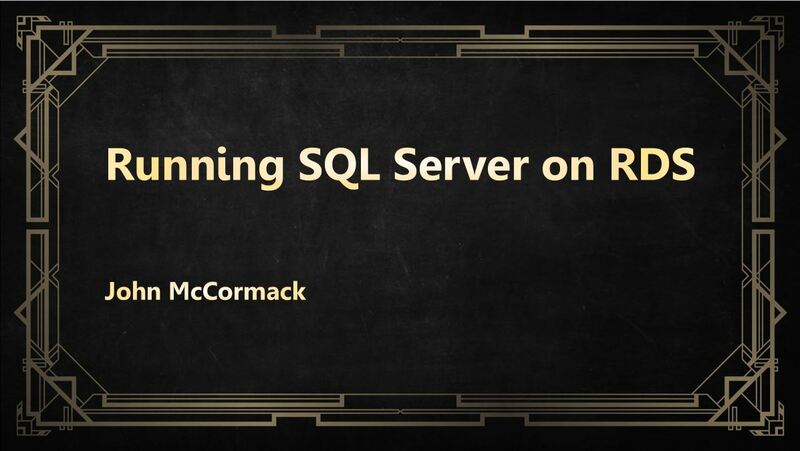 Running SQL Server on AWS can be done in 2 ways. Relation Database Service (RDS): AWS’s managed solution where some of the administration (maintenance, backups and patching) is handled for you. EC2: Your very own virtual machine in the cloud. With EC2, you manage SQL Server, just like you would do on-premises. This gives you full control over your SQL instance. Why not just use Azure? Azure may be the right choice for you. This purpose of this post is to show that you do have options and that Azure is not the only choice. Really, you should weigh up what you need from your cloud provider and make a choice. Managing a multi-cloud environment can be challenging. If you are working for a company already heavily invested it AWS, it may make more sense to stay with AWS. Even if not, AWS’s SQL Server offering is mature and RDS’s features are improving all the time so you should consider what you can achieve with AWS. The master user name you use when you create a DB instance is a SQL Server Authentication login that is a member of the processadmin, public, and setupadmin fixed server roles. It is not a member of the sysadmin fixed server role. Anyone who creates a db is assigned to db_owner role on that DB. EC2, you are responsible for all of your own backups. Backups can be pushed to S3 to save reduce costs. I have a full post dedicated to SQL Server backups on EC2. You could also store backups on EBS volumes attached to your instance however this is much more expensive than storing on S3. RDS will handle backups for you. You can restore to a point in time in RDS withing the backup window you configure. Transaction logs are taken every 5 minutes so you may experience data loss up to 5 minutes. All databases are restored with 1 second of each other. The downside to this is that transactions spanning multiple databases may not be recovered consistently. Features are being added to RDS all the time however if you need features in the excluded list, you would need to go with an EC2 installation. However if your business size doesn’t allow for DBAs or database specialists, RDS may be the best option as AWS take care of all the installation and maintenance for you. The Glasgow Super Meetup was a joint event between Glasgow Azure User Group, Glasgow SQL User Group and Scottish PowerShell & DevOps User Group. 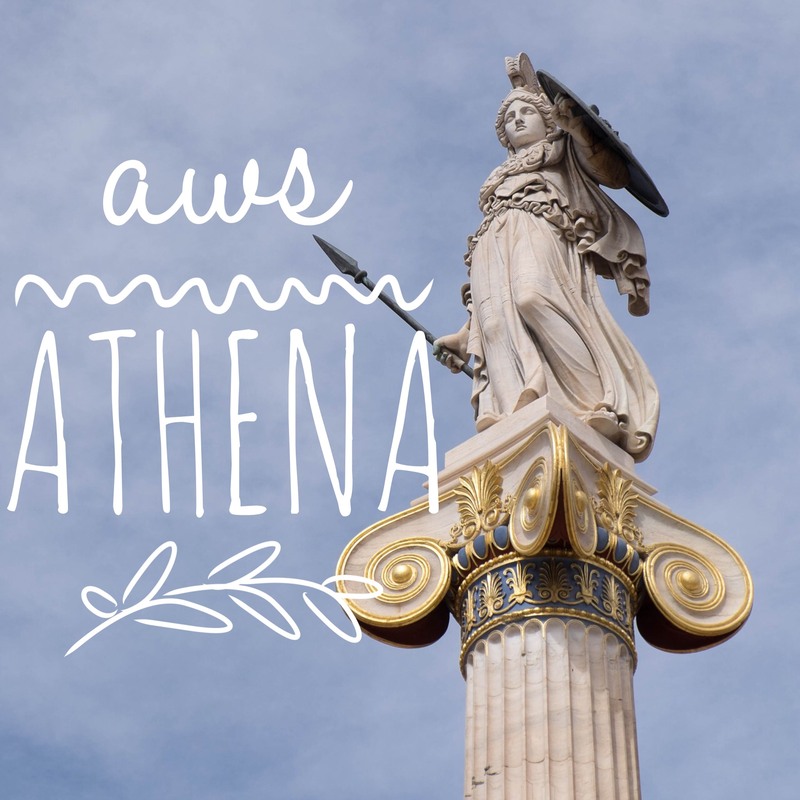 I did an AWS Athena Presentation to the group. Speaking about AWS Athena at the Glasgow Super Meetup might seem like an odd choice since most attendees will use Azure heavily or be more interested in SQL Server, however I was pleasantly surprised by the interest that people took in the subject matter. It was only a lightning talk so there wasn’t time to answer questions however I was asked a number of questions during the break by attendees. I showed how tables can be archived out of the database and into S3, at a fraction of the price yet the data can still be queried if needed using Athena. I stressed that Athena isn’t intended as a replacement for an RDBMS and as such, queries will be slower than SQL Server however it is much cheaper to store large amounts of data in flat files in object storage (such as S3), rather than expensive block storage which is used with databases. So if the use case fits, such as infrequently accessed archive data, then it is something to consider. I’ve uploaded my slides and also linked to a recording of the event. If you want to try the code, you’ll find it below. As a proof of concept, I want to export the data from the Sales.SalesOrderHeader table in Adventureworks2012 to flat files using BCP. The data would be partitioned into unique days using the OrderDate column. This data is then exported to the local file system and then uploaded to Amazon S3. The next steps include creating a table in Athena, querying it to review the data and validating the correct data has been uploaded. 'bcp "SELECT SalesOrderID, RevisionNumber, OrderDate, DueDate, ShipDate, Status, OnlineOrderFlag, SalesOrderNumber, PurchaseOrderNumber, AccountNumber, CustomerID, SalesPersonID, TerritoryID, BillToAddressID, ShipToAddressID, ShipMethodID, CreditCardID, CreditCardApprovalCode, CurrencyRateID, SubTotal, TaxAmt, Freight, TotalDue, Comment, rowguid, ModifiedDate FROM [AdventureWorks2012].[Sales]. 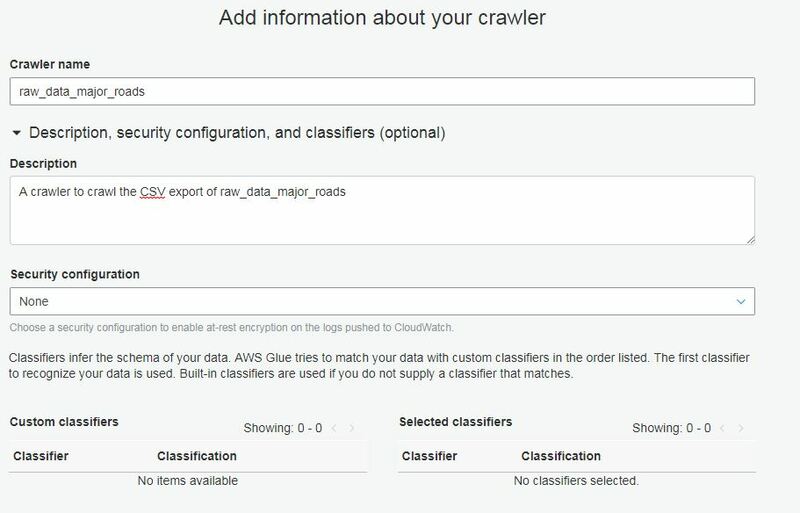 [SalesOrderHeader] WHERE OrderDate = '''+convert(varchar, OrderDate, 23)+'''"
Upload from local file system to AWS S3. You must have an S3 bucket created for this and you must have configured an IAM user in AWS to do this programatically. You can upload manually using the AWS console if you prefer. This performs a row count and checks the sum of one particular column(territoryid). This is fairly rudimentary check and not guaranteed to be unique but it is a simple way of having a degree of confidence in the exported data. SELECT COUNT(*) as row_count,SUM(territoryid) as column_sum FROM "adventureworks2012". "salesorderheader"
Now it is uploaded, you can query any way you like in Athena. It is worth noting that partitioning improves the performance of the query and makes the query cheaper because it scans less data. If partitioning data, you should use the partition key in your query otherwise it will scan all of data. Note the difference between the 2 queries below.